Our aim is to ensure the local communities hosting our operations share in the benefits of our work. As well as employing locally we use local suppliers and contractors whenever possible. The Project will create around 1,300 jobs during construction and 200 ongoing positions as well as numerous indirect jobs. Our current support for a wide range of community events and organisations will be expanded with the establishment of a community benefit fund which will deliver up to $120 million over the life of the Project. This will be used to fund projects, infrastructure and initiatives in the Narrabri area. We also work to ensure information about our activities is easily accessible to the community. Our main street shopfronts in both Narrabri and Gunnedah are the bases for our community and land access teams and anyone interested in finding out more about our work is welcome to stop in for a chat. The team give presentations on our work to local community and business groups and hold regular open days and information sessions. 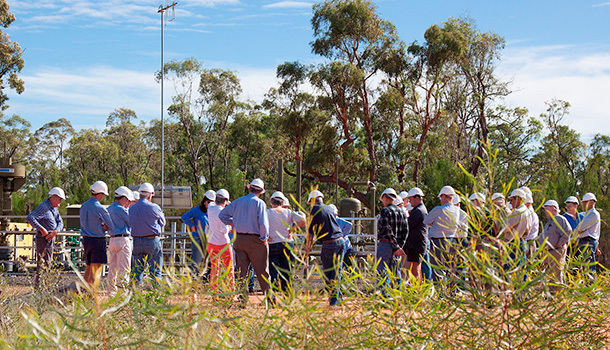 We also host monthly site for those keen to get a first-hand look at our operations in and around the Pilliga. As part of our EIS preparations, we conducted a wide range of technical studies to assess potential impacts of the Project on the local community. Discussions were also held with a range of local stakeholders including the Narrabri Shire Council, NSW Farmers and the Local Aboriginal Land Councils.